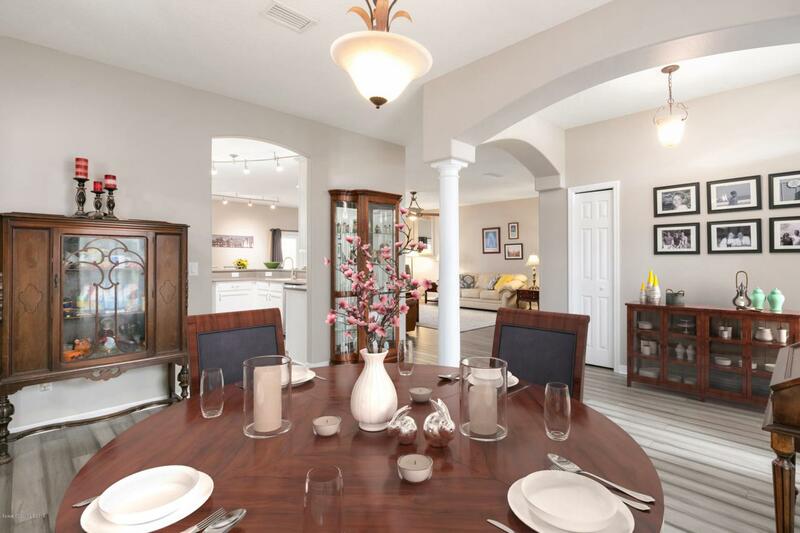 Indigo Crossing Viera home on an oversized lot w/ water views. 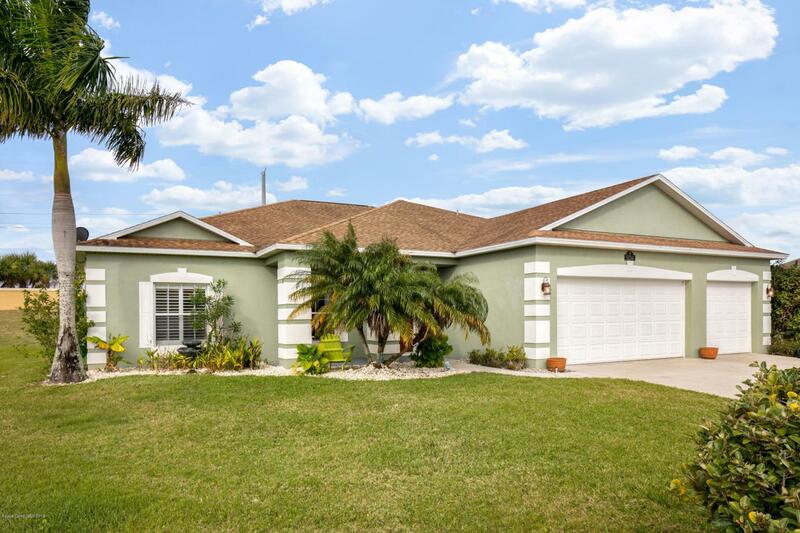 Immaculate landscaping surrounds this cul-de-sac lush green lawn that extends to common area. 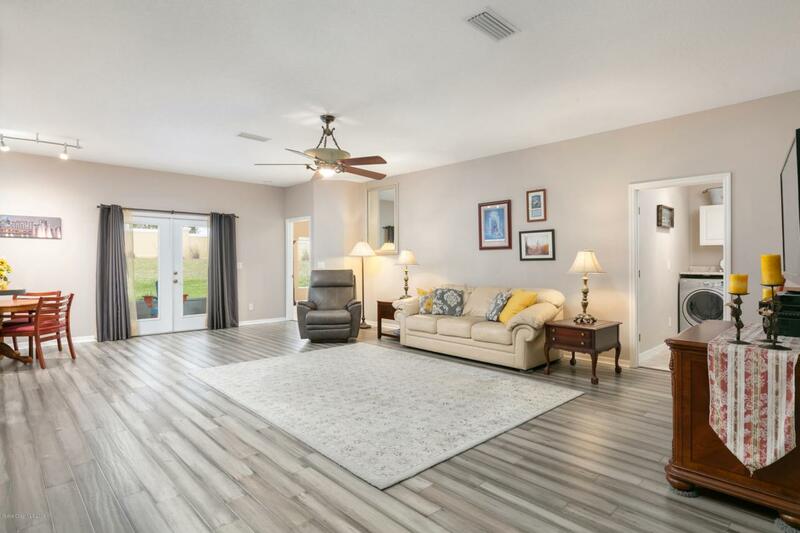 Featuring loads of upgrades including bamboo floors , ss appliances, quartz countertops, tin metallic backsplash, pantry & bkfst bar overlooking the great room & bkfst nook. 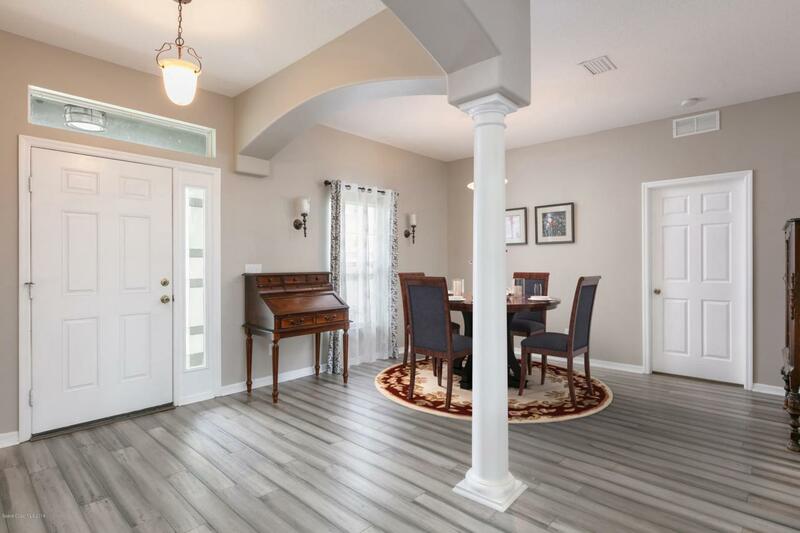 The dining room is just inside the entry & flows to the 4th bdrm that makes an ideal office. This split plan has a large mstr ste w/ tub, h/her wlk-in closets, shower, 2 sinks, & wtr closet. Doors lead to a big screened-in porch that opens to the living room. A cabana full bath is shared w/ guests & bdrm. The remaining bdrm has ensuite bath & laundry rm is off 3 car gar. Equipped w/ hurricane shutters.